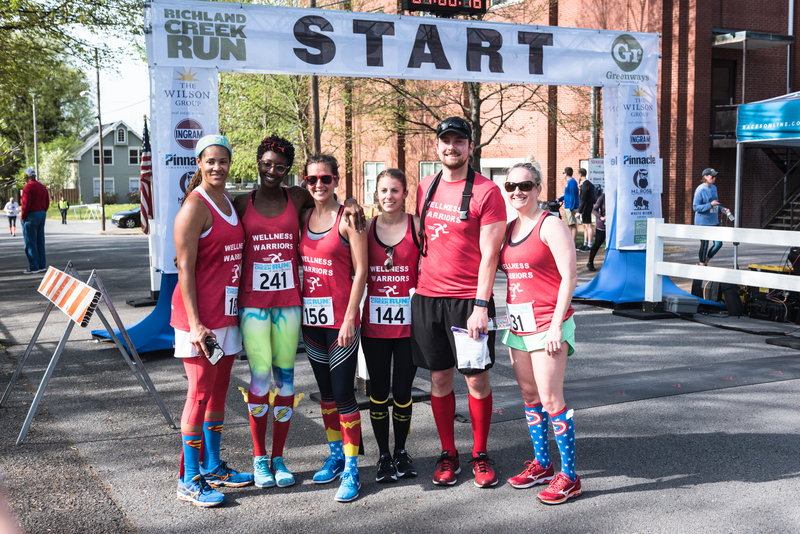 The team challenge is an opportunity to run/walk with your colleagues, friends, or family and compete against other teams to build fun, friendly rivalries! No matter the speed, teams are an easy way to encourage camaraderie in a fun atmosphere among friends, family, or co-workers. **To be considered for any team awards, a team must have a minimum of FIVE members. When registering for a team you will need to use an existing team name from the drop down list, or create your own. If you are not registering all team members at once please share your team name with your group. The 5 highest placed finishers in their respective age groups will be used to determine the score of each team. The top finishers will be determined based on where they place in their respective age group. The finish place in the respective age group (3rd place male age group 20-24, for example) of the top five will be added. This will be the score for the team. Lowest team score wins.